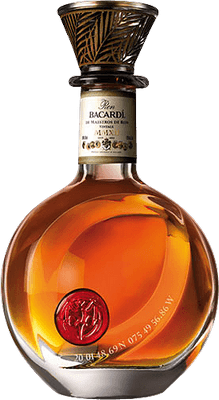 Have you found an online vendor selling Bacardi de Maestros de Ron, Vintage, MMXII? What a rum. Hands down the best rum I've tasted in my life. I've tasted Viscaya, Zafra and much more, but this rum is so smooth. Leaves no burn on the throat. Wood, chocolate, banana, butter scotch and berries. Talk about complexity, this rum doesn't even taste like a typical rum. I strongly suggest sipping this rum straight. The only con is its price. Le flacon donne envie déjà ! C'est important aussi ! Had this in Japan - twas great!